A simple way to raise money for organizations and causes. 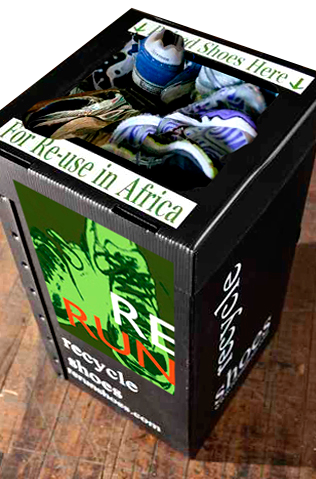 ShoeRecyclingFundraiser pays you for gently used shoes that we ship to microentrepreneurs in Africa. Your fundraiser saves landfill space and supports economic development in Africa where affordable footwear is greatly needed. Transform gently used footwear into new revenues for organizations of all sizes, schools and universities, religious institutions, causes and clubs. Activism that helps the environment, Africa and your bottom line.